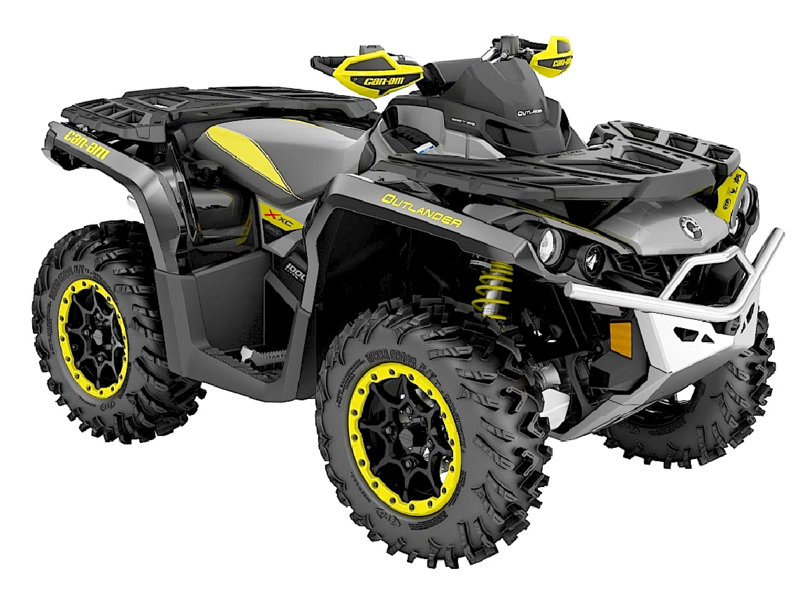 Can-Am has extended its performance leadership in the ATV market with a revised Can-Am Outlander ATV lineup for 2018. 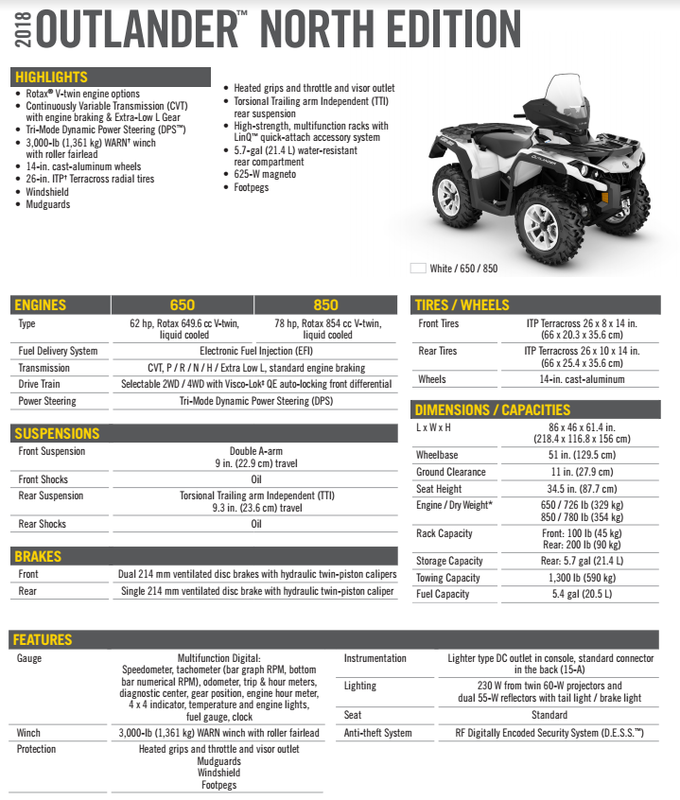 Changes include the return of a popular crossover sport 4×4, more specialty packages and additional market point-of-entry value. And, of course, new colors were also added for 2018. 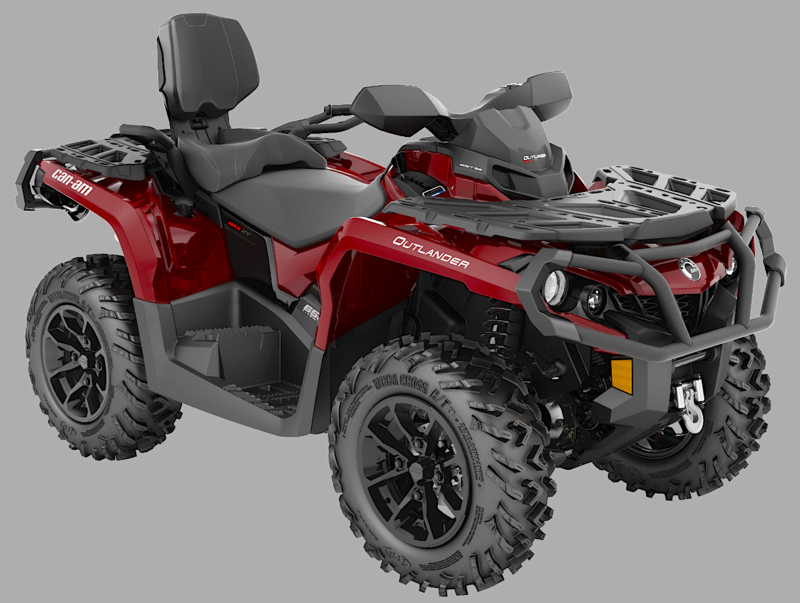 One 2018 headliner is the Can-Am Outlander X xc 1000R 4×4 ATV, which was inspired by an older generation 2011 cross-over model that produced its own cult-like following for adeptly blending utility and sport and well as delivering an iconic look. 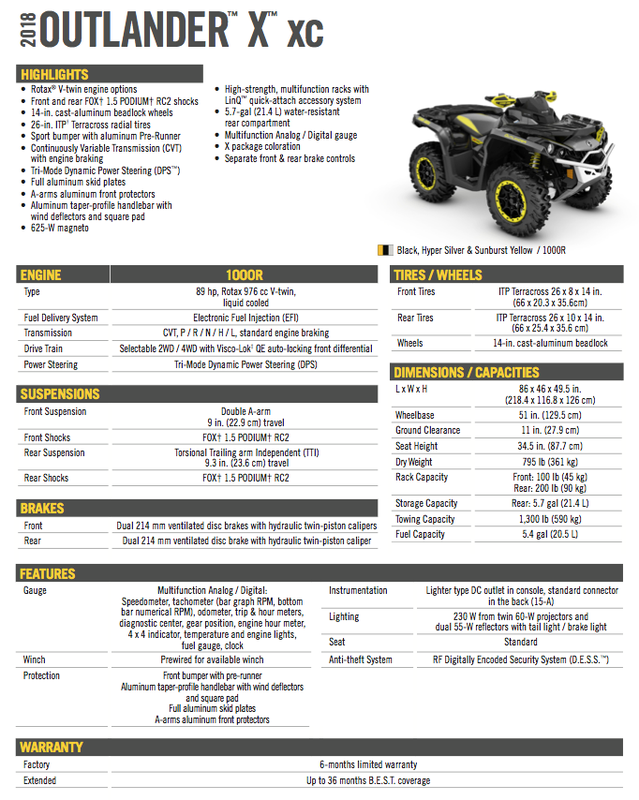 However, the 2018 model takes this dual-purpose performance to new levels with its outstanding power output (89hp), Dynamic Power Steering, FOX shocks and Can-Am X-Team inspired package. 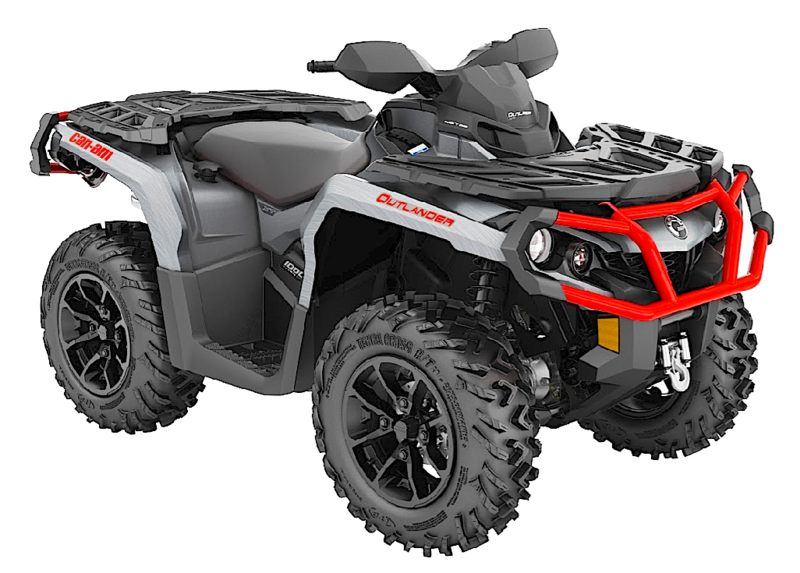 The all-new Outlander North Edition 850 and 650 one-up and MAX ATVs join the existing Outlander family and growing market-driven specialty models, giving Can-Am the industry’s most talented and diverse ATV family. 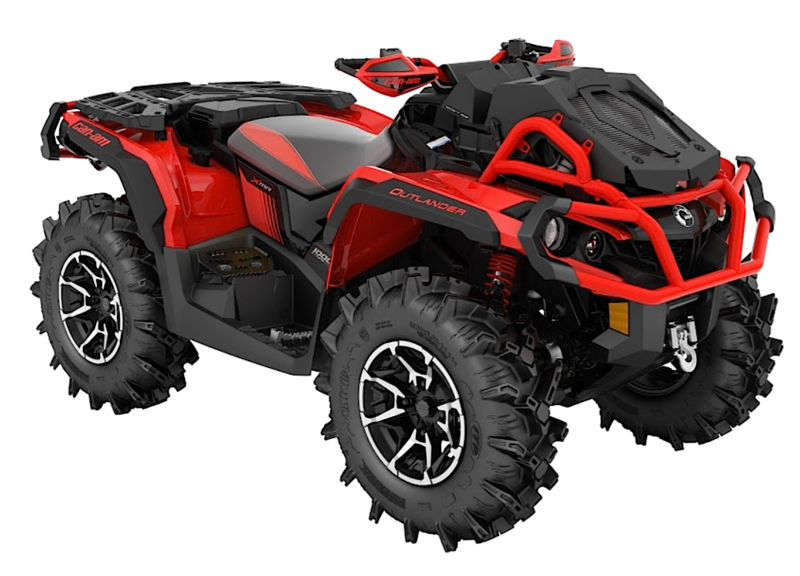 The new Outlander Mossy Oak Hunting Edition 450 package also arrives in 2018 and bring with it an unmatched affordability (starting at $8,999 USD) for a field-ready ATV. 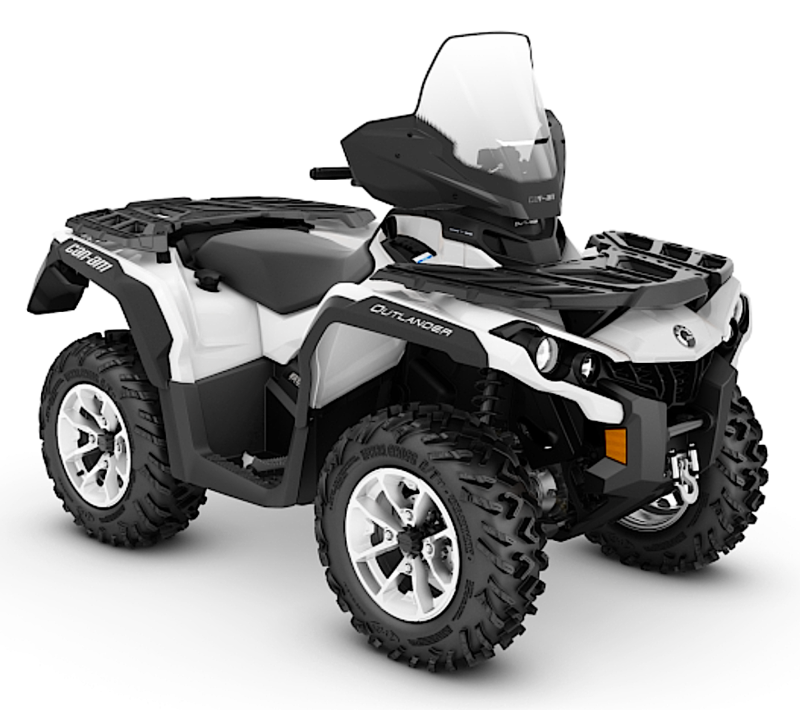 The Can-Am Outlander family of 4×4 ATVs consists of the Outlander 450, Outlander 570, Outlander 650, Outlander 850 and Outlander 1000R lineups. 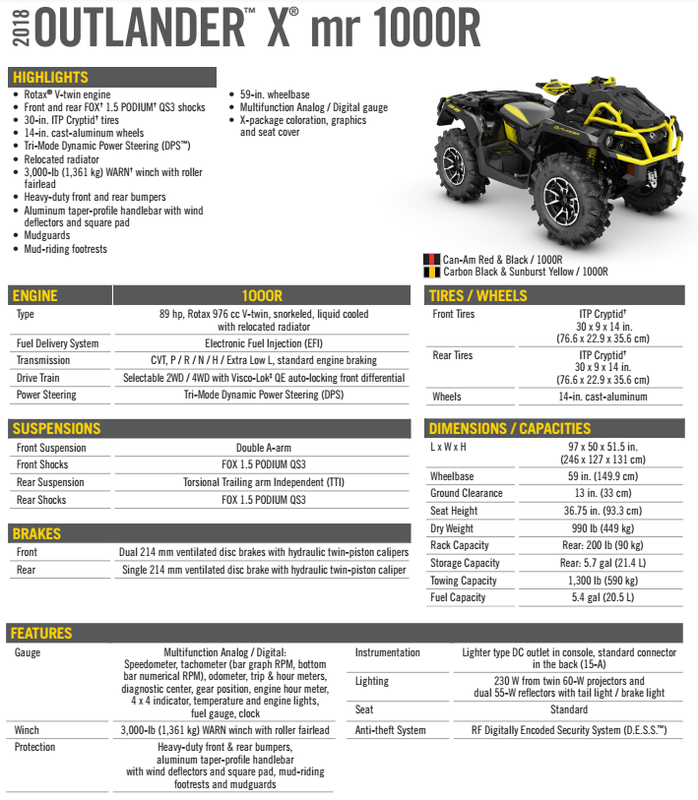 All five Outlander displacement levels are available in a one-up chassis or a longer wheelbase (MAX) two-up platform. 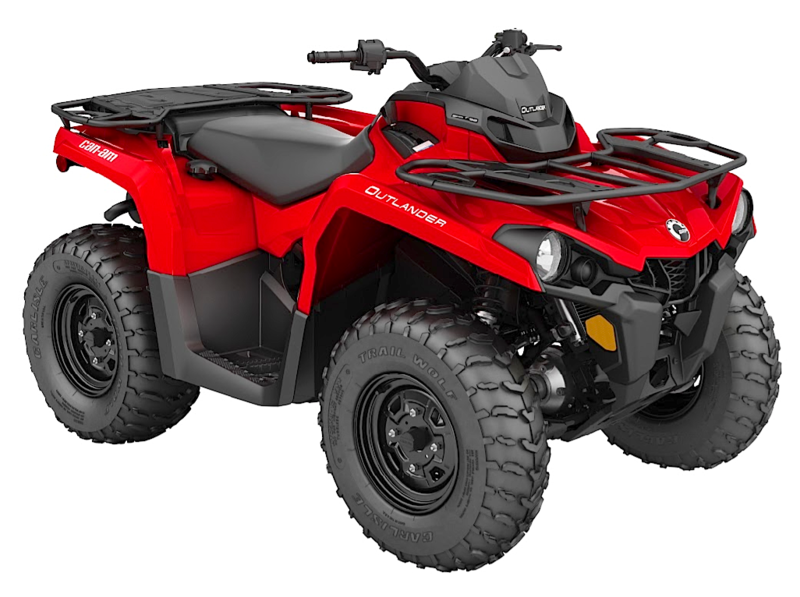 Also, all Outlander ATVs are available at different price points with various unique features, different specialized packages and color schemes. 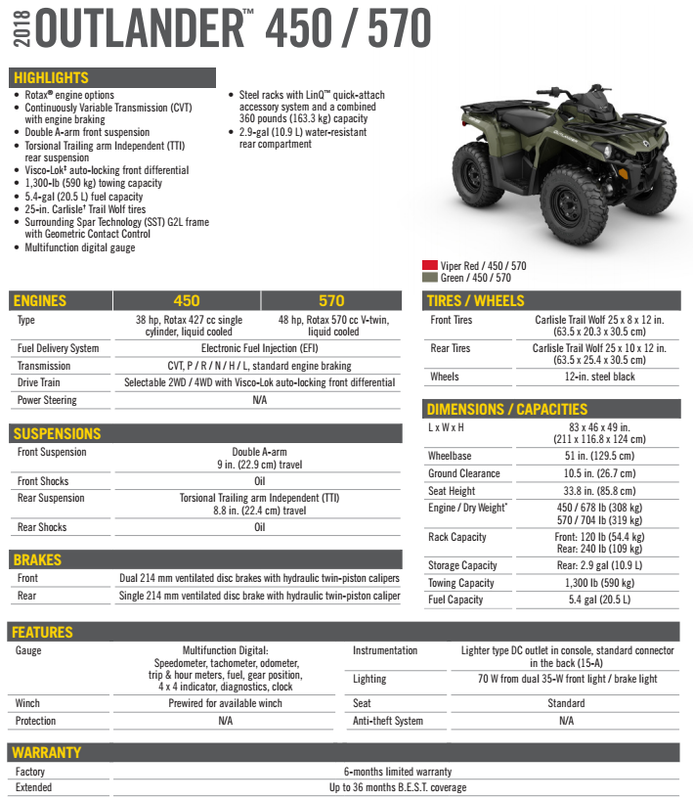 Those additional packages are comprised of base models (450 / 570 / 650), DPS, (all engines), XT (570 / 650 / 850 / 1000R), Mossy Oak Hunting Edition (450 / 570 / 1000R), XT-P (850 / 1000R), X mr (570 / 650 / 850 / 1000R) and North Edition (650 / 850).